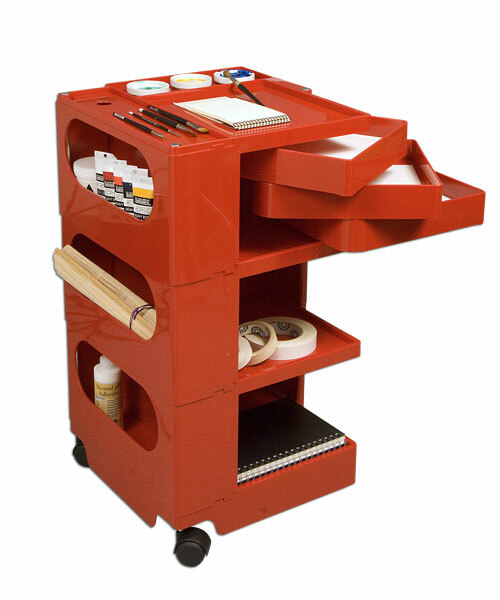 Store your art supplies and display them neatly on this 3-shelf rolling plastic artist taboret with art studio organizer, red/white/black. 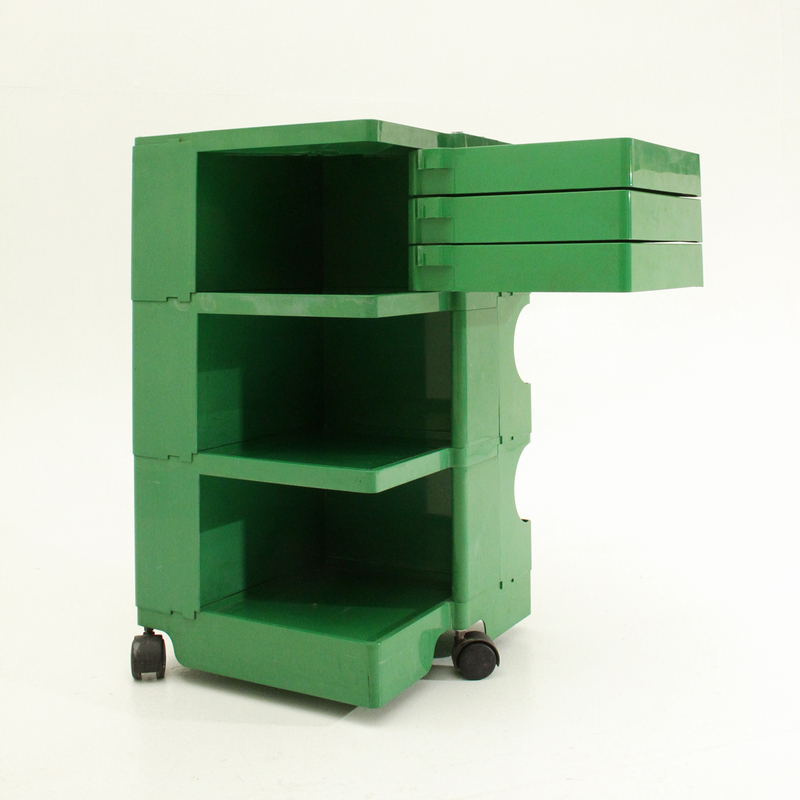 This signature cart for studios and painters is a modern design for storing all your art essentials. 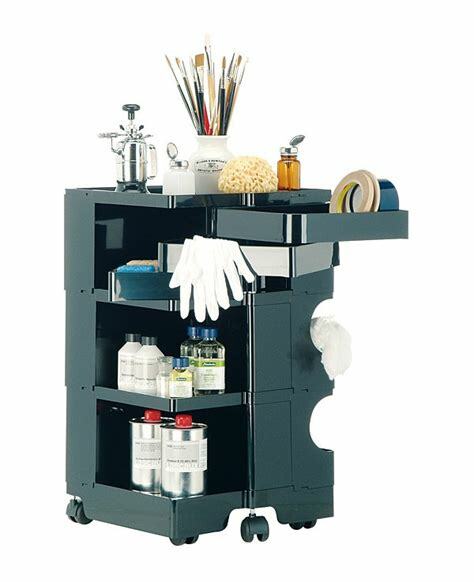 The artist studio organizer cart is ideal for storing paint, brushes, paper tubes, and numerous other arts and supplies. 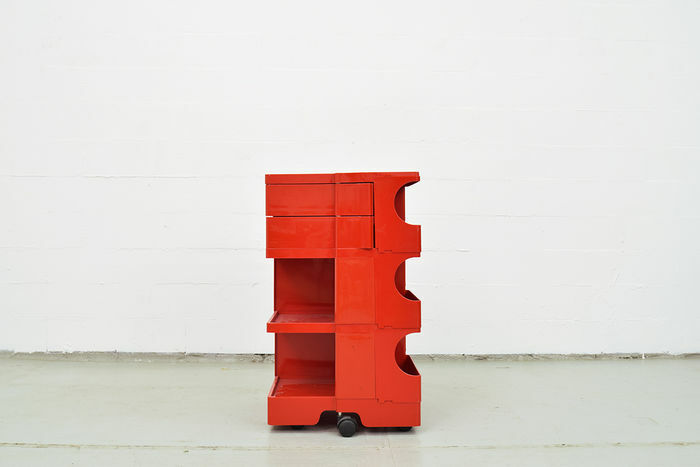 This cabinet features +9 unique storage options in total that include the likes of large storage compartments, 2 bottom shelves, and 3 slide-out drawers. 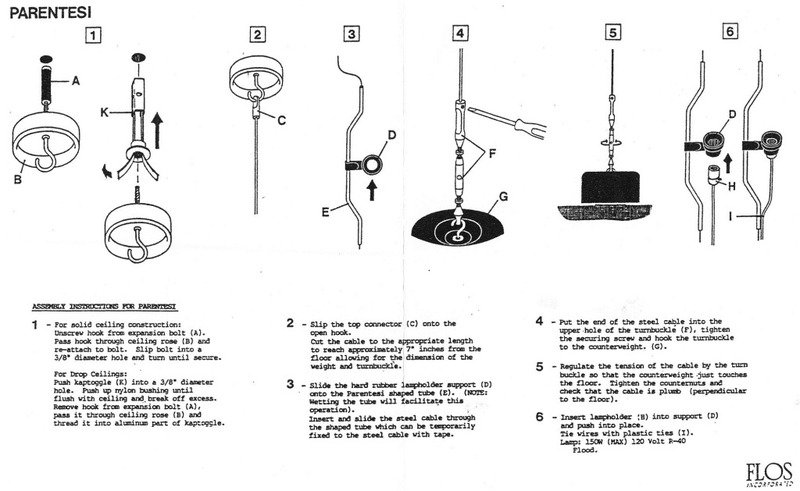 All of this stands atop three rolling casters for swift mobility. 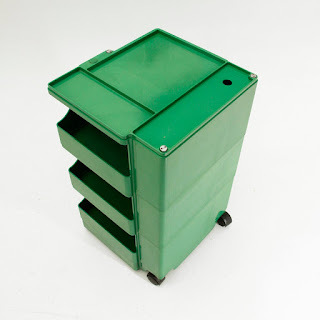 Measures 20W x 14D x 35.5H inches. 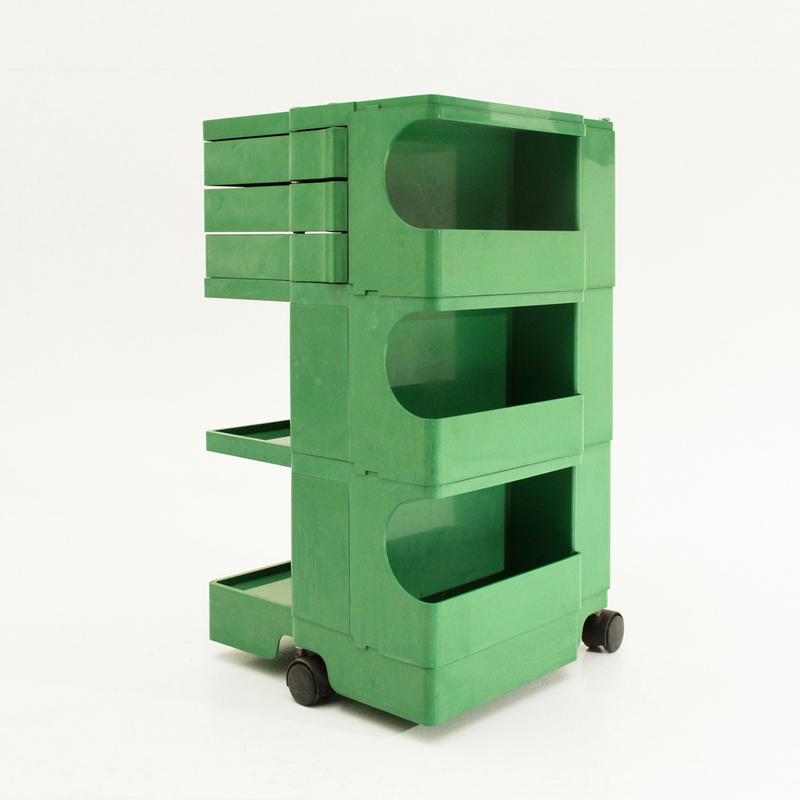 Get this cart to store things and organize your craft room. Design: Joe Colombo. If you are a photographer and need a cart for your studio; this three-drawer level cart is exactly what you could hope for. 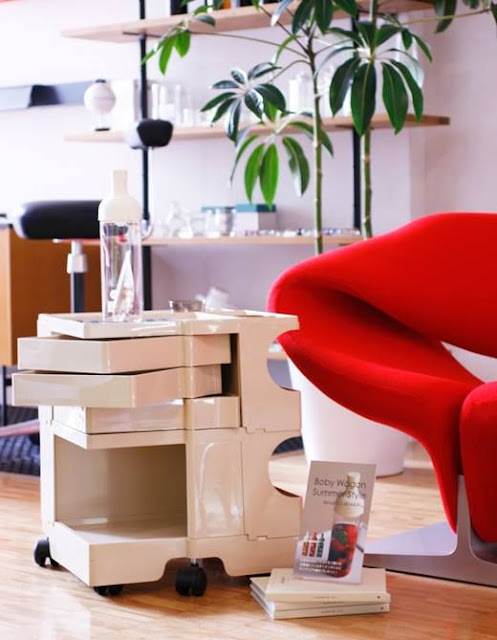 You will love the look and color. 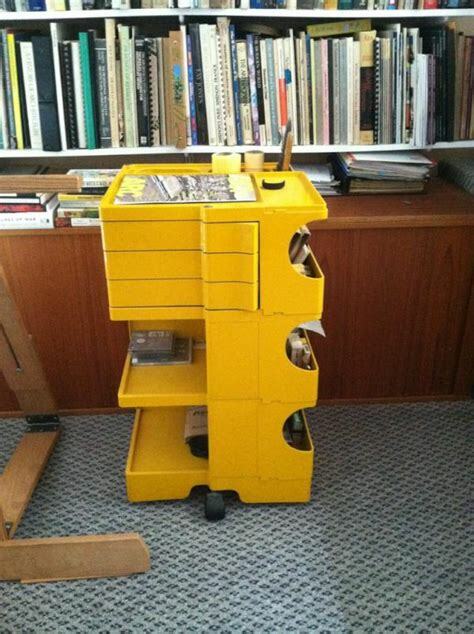 Plus it's sturdy, nicely designed and will fit all your photography and drawing supplies. 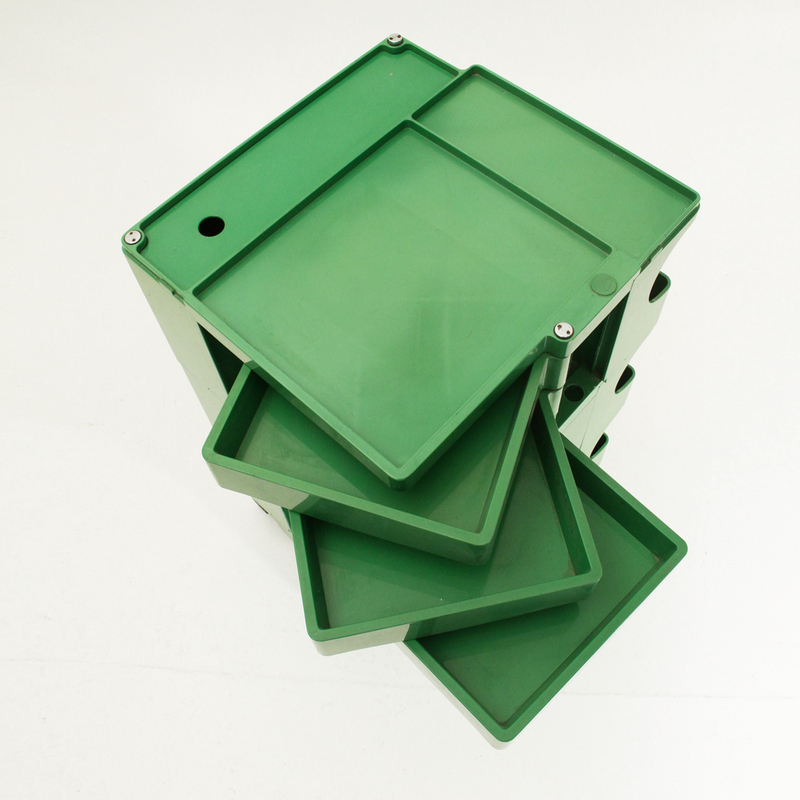 You can buy yours to use as a side table next to a desk or painter's easel. 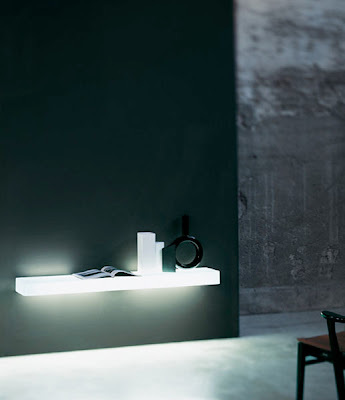 It is easy to like its versatility so you may even buy one for use in an office, kitchen or in the bathroom. 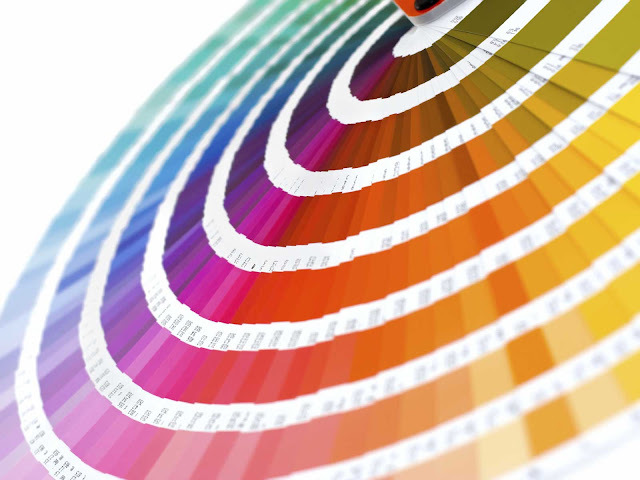 The basic color choices are great for most decors. 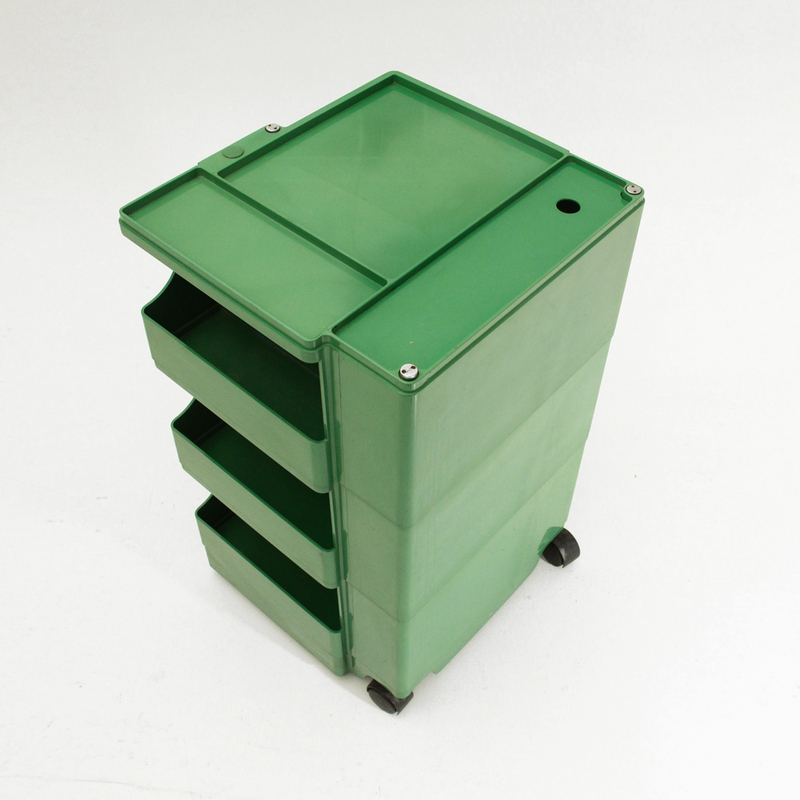 Our 2/3/4/5/6-tier Plastic Art Taboret Rolling Cart features a modern Italian look and 3 casters so that you can easily move it from room to room. A refreshing way to organize most artists studios or small home office essentials, you won't be able to resist this easy storage solution. Plus, it rolls super smooth. 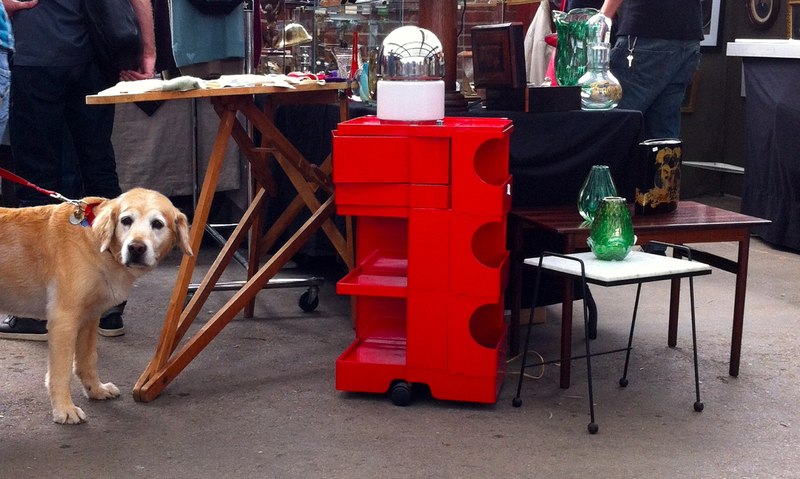 No assembly required for this efficient art storage cart. 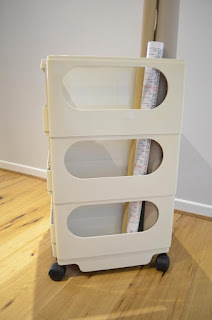 After you have tried other popular art carts (3-tier rolling cart in room essentials) you may find that these company rolling carts do not fit your aesthetic sensibilities, We have tried this 3 tier rolling cart alternative in our own art studio. 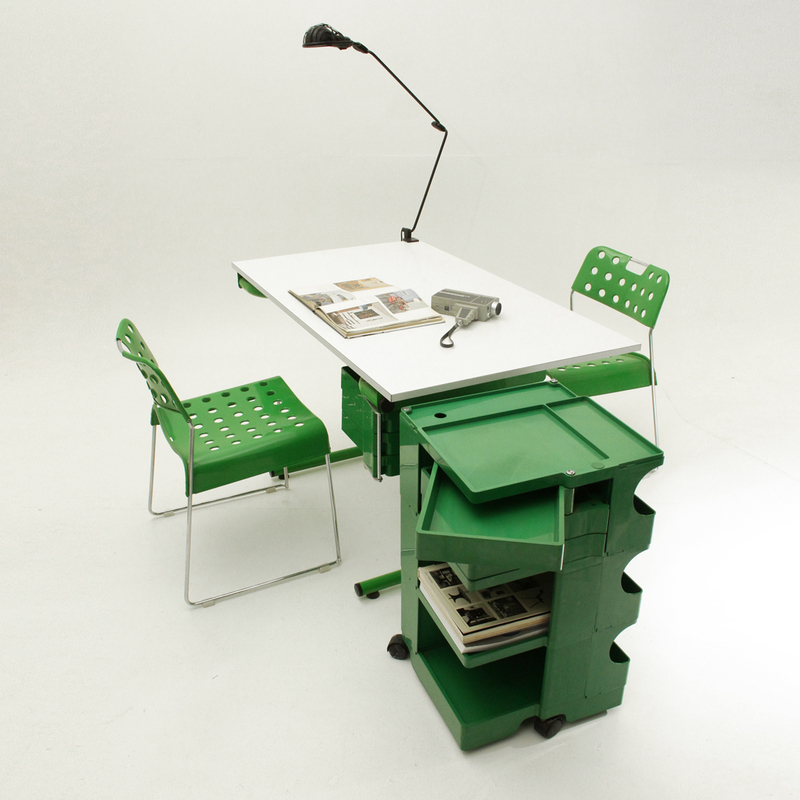 It's fabulous, well made and works exactly as we need. 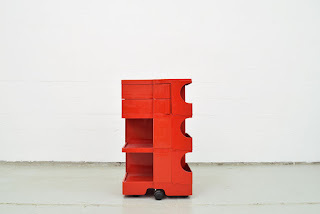 Need only two shelves? 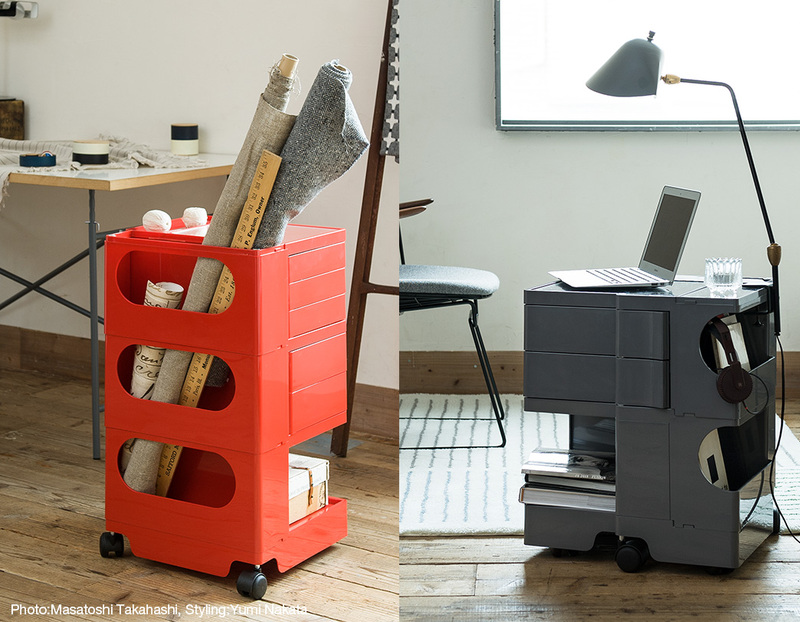 Get your organizational art wheels into gear with these essentials for every room; this beautiful two tier drawer rolling cart edition; from Stardust.com. 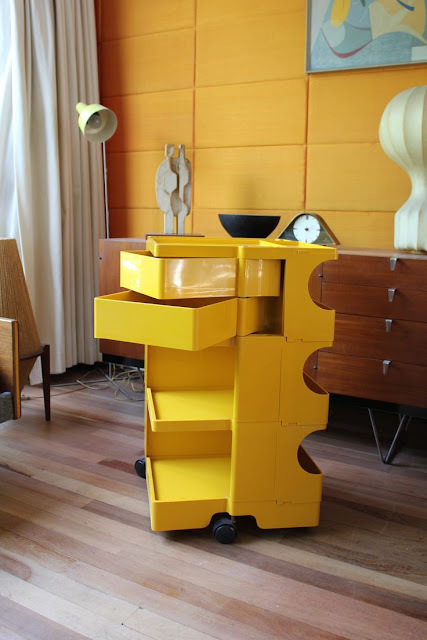 From Stardust Modern Art and Design - choose from a variety of cabinets for storing paper, tote trays, and other art materials. 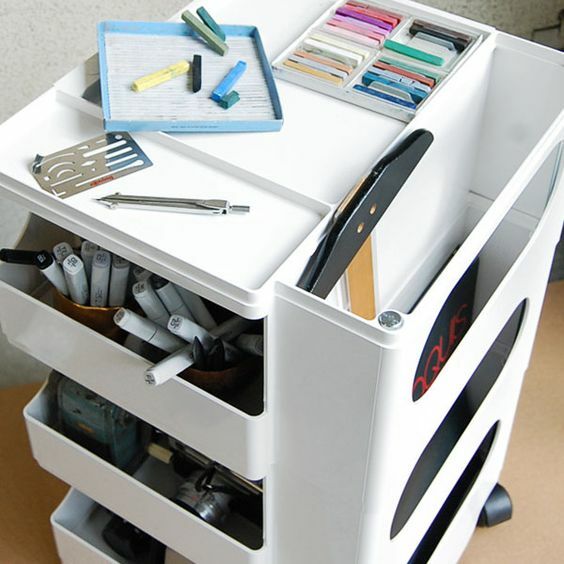 The above 6 drawer model is perfect when you are looking for art supply storage solutions as it doubles as a craft storage cabinet with drawers and compartments. 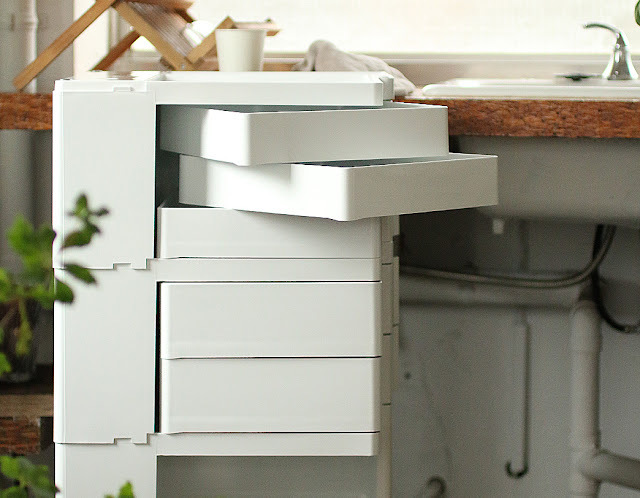 Practical solutions meet modern design flair to give this smaller 2 level storage cabinet with 3 drawers a look that blends effortlessly into your favorite decor. 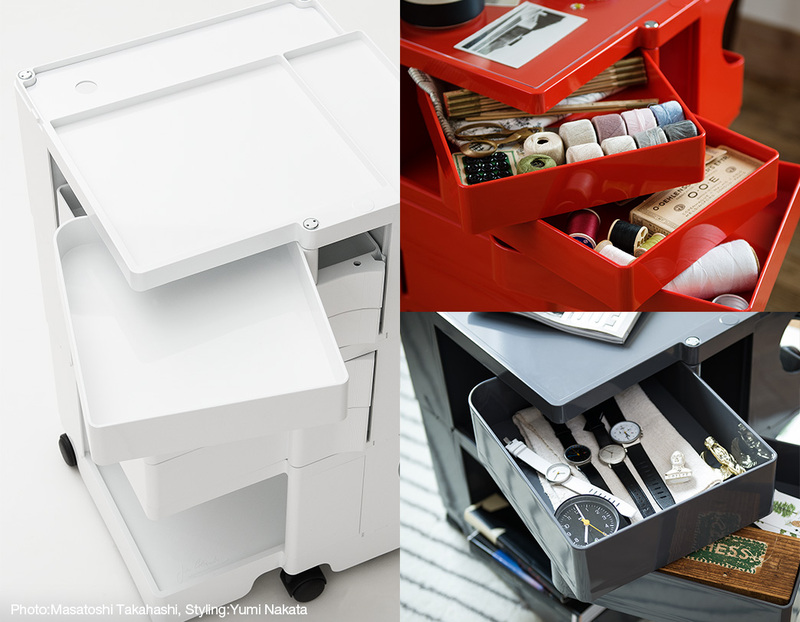 Its molded details add a dash of dimension to your ispace while its solid white color is a perfect fit for both monochromatic and vibrant palettes. 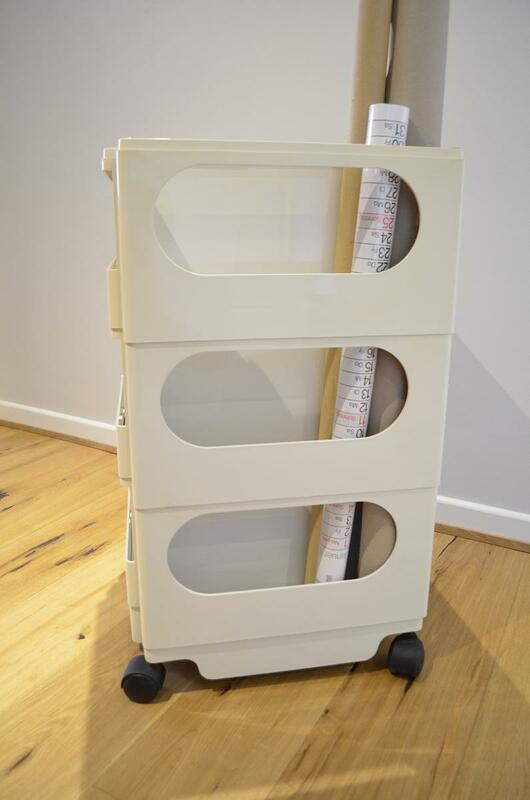 With its 3 shelves, this low profile rolling cart design can be used next to the bed when extra storage space is needed. 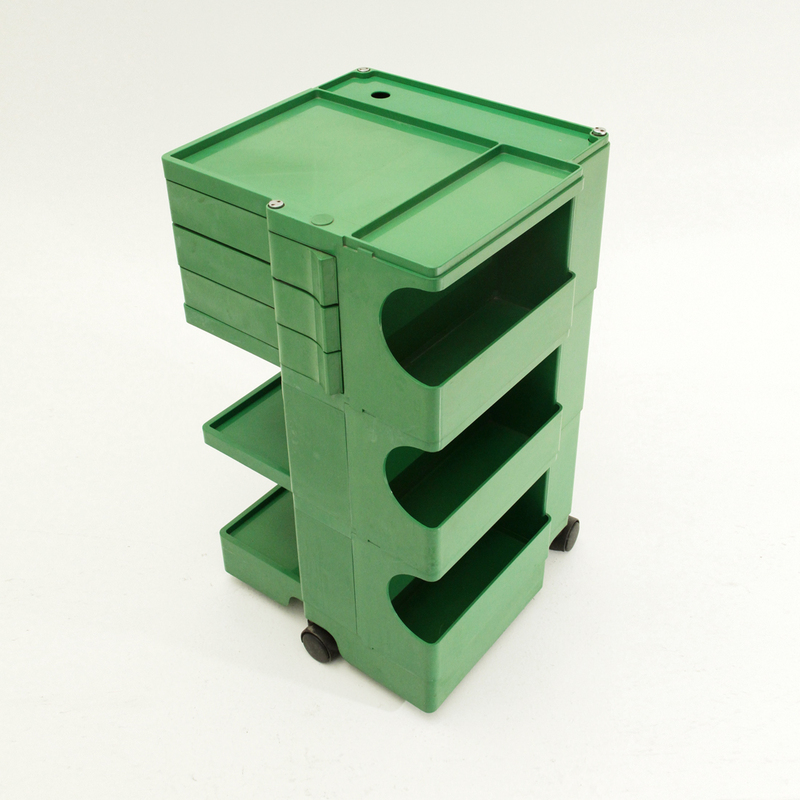 The above 5-Tiered Shelving Rolling Cart features several drawer levels to hold plenty of art supplies or art necessities. 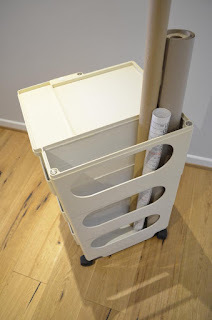 Convenient storage on the side allows long posters/tubes to be stored. 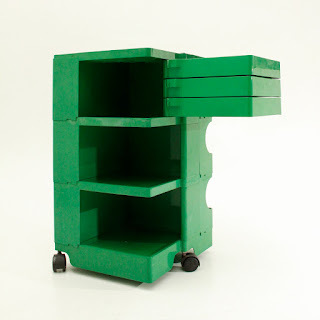 Top shelves can accommodate letter-size paper but no hanging folders. 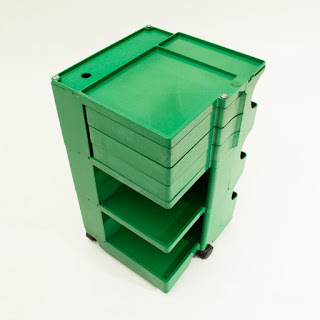 The sturdy construction is designed for everyday use and heavier items. 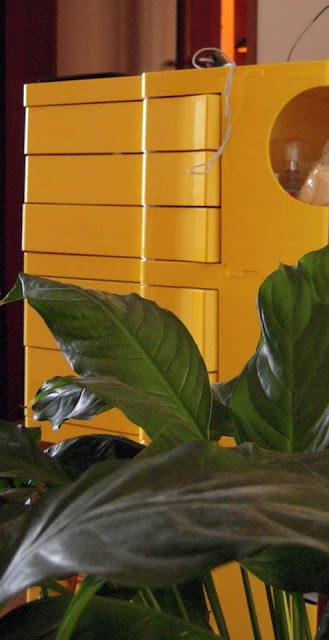 Heavy-duty ABS plastic will make this last a life time.